This past weekend, one of the trending internet topics concerned a photoshoot that took place last summer involving actress Jennifer Lawrence posing with a Colombian red-tailed boa constrictor in homage to Richard Avedon's iconic photo, Nastassja Kinski And The Serpent from 1981. Browsing through Vanity Fair's online gallery, I couldn't help but recognize the structure in the background as the equally iconic Sheats-Goldstein residence. The Sheats-Goldstein residence is one of the most iconic homes in the Los Angeles area. It has been featured in fashion photoshoots, TV commercials, and major motion pictures. Chances are great that, like me, you have probably seen it before. John Lautner at the Sheats - Goldstein House "The Spirit in Architecture"
Located in the Beverly Crest neighborhood of Los Angeles, the home was initially designed in the early sixties by architect John Lautner for Helen & Paul Sheats and their children. 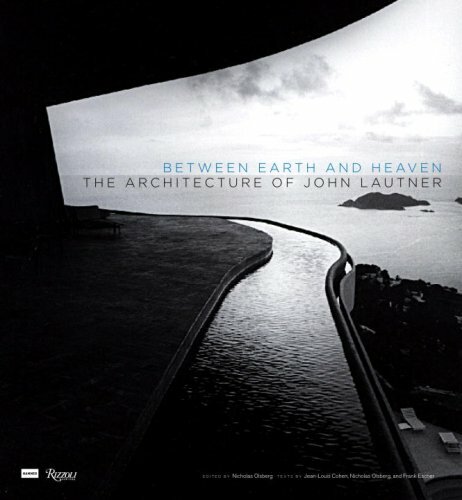 Lautner, who was an apprentice of Frank Lloyd Wright before stepping out on his own - is perhaps most well-known for his pioneering use of reinforced and prestressed concrete. Many of his most admired works feature the material in new and exciting ways. 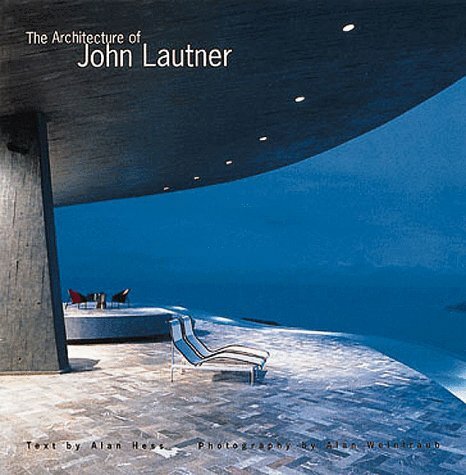 Often, Lautner's designs drew heavily on geometry. In the case of the Sheats-Goldstein residence, triangles and trapezoids are the favored shapes. The plan of the house is essentially two triangles joined at their apexes with a triangular roof (itself made up of a triangular structure) covering the transition. A visual explanation can be seen in the following video. Extreme Homes: The Sheats Goldstein residence designed by Architect John Lautner with commentary by Architect Duncan Nicholson. The Sheats sold the house after living in it for only a few years. Several other owners came and went before businessman and NBA superfan James Goldstein acquired it in the early '70s. By that time the house had fallen on some hard times and Goldstein brought the original architect back to the project. 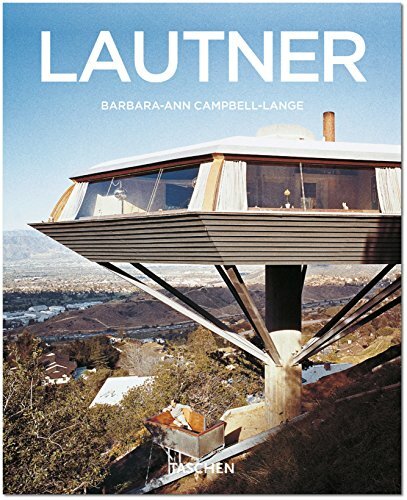 Together with Lautner, Goldstein helped shepherd the house back to its original condition and then moved beyond it. Wanting to take the home to its full potential, they re-imagined elements such as the entry and the master bedroom suite. They added water features, a concealed hot tub, and unique accents such as transparent sinks in the master suite. An interview with James Goldstein about his home. After Lautner's death in 1994, Goldstein continued to develop the house with a former employee of Lautner's, Architect Duncan Nicholson. Nicholson designed new built-in furniture, exterior walkways, a detached art pavilion, and a major expansion to be used for entertaining. Some photos of these more recent additions can be see at LA Curbed. An interview with James Goldstein about his home and his life. A annotated slideshow of architect John Lautner's Sheats/Goldstein house in Los Angeles, California. As mentioned at the top of this post and by Goldstein himself in one of the interviews above, the house has had numerous appearances in popular media over the years. It's a favorite location for photoshoots like this one with Daft Punk and this one with Scarlett Johansson. It also occasionally is used for television commercials - such as this Gucci perfume ad with Blake Lively. In 2005, Snoop Dogg and Pharrell filmed a music video at the house for their song "Let's Get Blown" - in which James Goldstein appears. And it has been prominently featured in the feature films PLAYING GOD (1997), THE BIG LEBOWSKI (1998), BANDITS (2001), and CHARLIE’S ANGELS: FULL THROTTLE (2003). A scene (dubbed) from THE BIG LEBOWSKI. A scene from CHARLIE'S ANGELS: FULL THROTTLE.